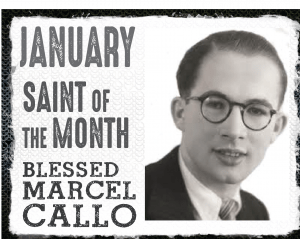 Marcel Callo was born in 1921 in France to a farming family with seven brothers and sisters. His was a factory worker and one of Marcel’s brothers was a priest. Marcel held a job from the time he was twelve years old to help his family financially. Often the other workers would speak of inappropriate things and try to spur him on to follow their bad examples. His mother taught him his Catholic faith at home and she taught him a purity prayer to consecrated his heart to Mary and get strength when his coworkers would bully him.He was very active in his parish youth group and his motto was “Pray, receive Holy Communion, offer yourself up, and be an apostle.” He joined the young the Christian Young Workers’ Movement when he was 14 years old as it taught young men to be Christian leaders in the workplace and learn the teaching of the church . He soon became a leader of the group and a leader at work. He enjoyed sports, being with his friends and going to the movies. WWII broke out in the middle of his youth and his town became occupied by the german troops. He lefd underground meetings for his parish for the youth. There, he met Marguerite and a few months later they were engaged. Marcel’s sister died in one of the bombing raids and Marcel was called to forced labor in Germany. Instead of fleeing, he went with a missionary intent of bringing God to the labor camps. His fiancée told him she expected he would die a martyr’s death there. The forced labor camp was basically a prison where they worked twelve hours a day and basically starved but the conditions were not as bad as the concentration camps. 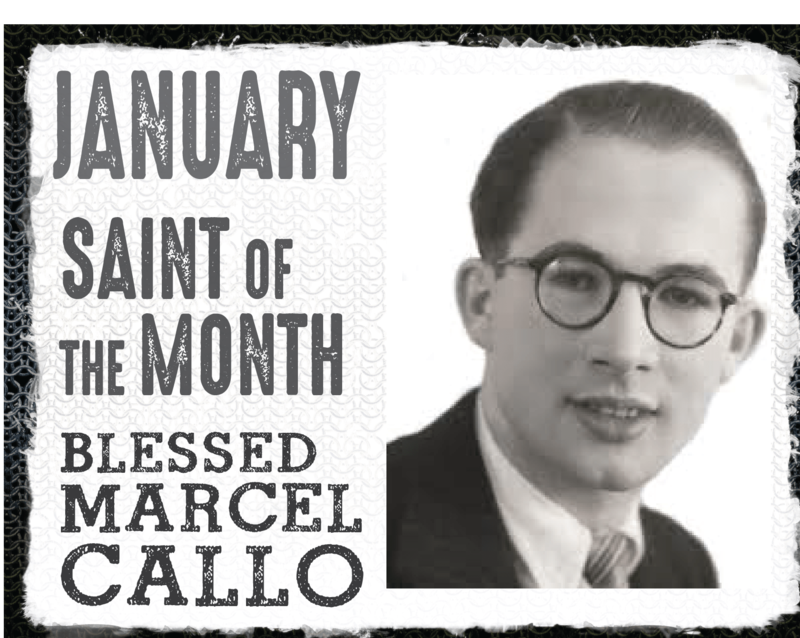 Marcel did not expect this and found it difficult at first but he met a priest there who would celebrate Mass for the young men. Marcel became a spiritual leader and would pray with the inmates every day. Soon the Nazis saw his leadership as a threat and they arrested him at the age of 23 for being too Catholic. He was sentenced to a concentration camp and died there a year later in 1945. John Paul II declared him blessed in 1987 for being an example of heroic virtue.